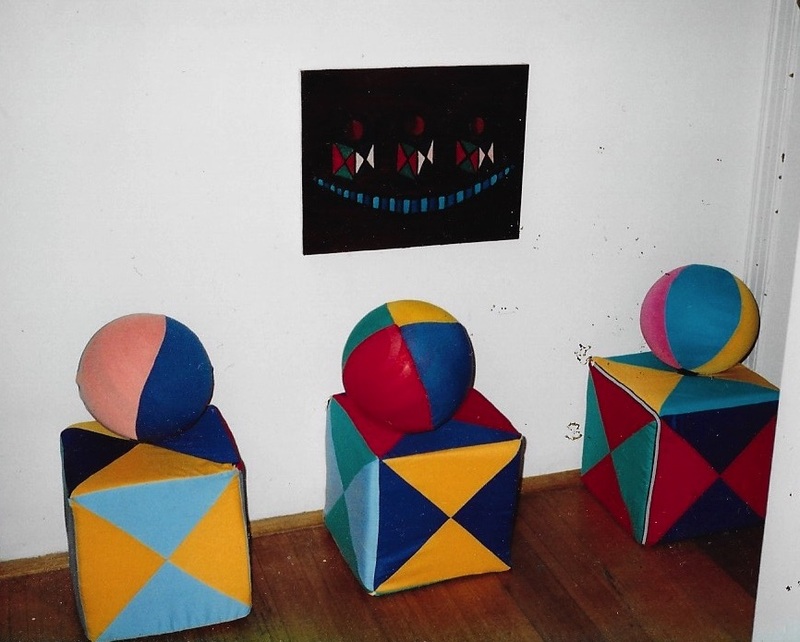 Installation view: Artists' Toys. Australian Centre for Contemporary Art, 1989. Three soft toys and oil painting by David Slattery.